Teufel's versatile Omniton 202 speakers are 'virtually indestructible' | What Hi-Fi? The Omniton 202's versatiliy stems from its claimed indestructability, boasting a robust, water-resistant housing, complete wih hard rubber sealing. You'll find a 13cm woofer and a 2.5cm cloth dome tweeter to take care of the business of making sound and, as with all Teufel speakers, there's an impressive 12-year warranty. 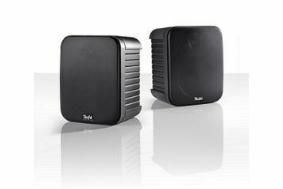 The Omniton 202 speakers are priced at £140 and they're available direct from the Teufel website.